The AWPR opens for the public. 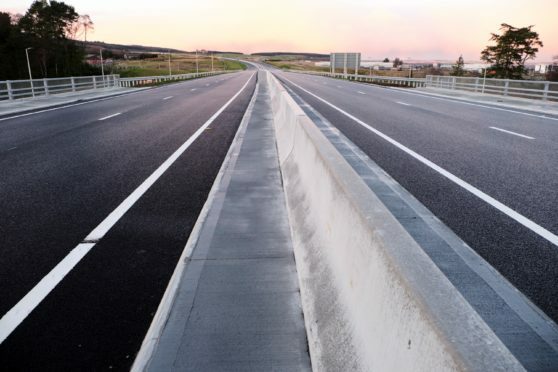 The Cabinet Secretary for Transport, Infrastructure and Connectivity, Michael Matheson has confirmed the opening date of the final section of the AWPR, between Craibstone and Parkhill. It will mean road users will have access to the entire 36-mile route, following months of delays to the project. Aberdeen Roads Limited has now provided the “necessary technical assurances” for the River Don Crossing, which was required before the new section of road could open. This new 4.5-mile section of road will link the southern Craibstone to Stonehaven and Charleston section with the Parkhill to Blackdog section in the north. The operation will begin on Monday night and the road will open before the morning peak on Tuesday. The Craibstone, Parkhill and Kingswells North (northbound) Junctions will be fully opened to traffic once signs have been uncovered, road marking works completed and temporary traffic management measures removed. The link road connecting the C89C Chapel of Stoneywood to Craibstone Junction will also be opened to use, allowing work to begin on permanently closing its junction with the A96.